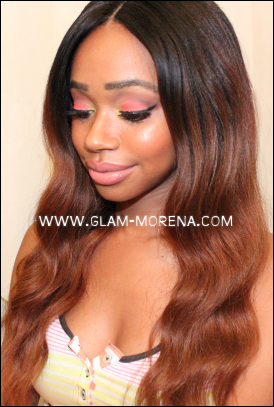 Glam Morena: Khloe Kardashian Inspired Hair. This unit is inspired by Khloe Kardashian's fabulous ombre hair she has been wearing lately. It has dark roots and fades into a lighter brown. This is my first time trying out a lighter hair color and ombre hair. I absolutely love it and it really compliments my skin tone too. Retail Price: $379.99 $319.99 Save $60 off! cute! it really looks good on you! Well, that's certainly a beautiful color on you! Thanks for sharing this is def needed by me tired of wearing my hair the same. this is nice! very pretty color! i love this ombre on u Rai!! it makes your face look brighter!! <33 the wig! 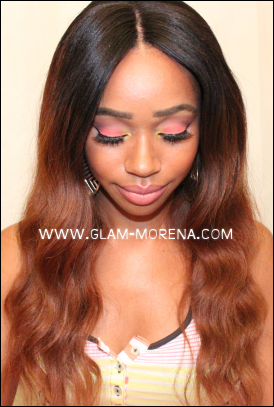 Love this look on you very pretty the ombre color compliments your skintone perfectly!